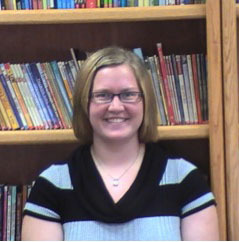 I am a Junior Elementary Education Major from Becker, MN. In addition to SEA, I am also involved with GYO, KDP, BPLP, Study Buddies, and I work at the afterschool program at South Elementary. I am so excited to see how far SEA has come over there last two years! We have really grown as an organization and as an education community. My favorite events we do are bringing guest speakers (i.e. a Principal Panel, an agricultural speaker, etc.) and our social events (i.e. our annual Holiday Party).